There’s nothing fun about dental emergencies, but Rollins Family Dental Center is there for you when one strikes. With convenient urgent care office hours and an easy-to-find suburban location in Round Lake Beach, Illinois, Dr. Dave Canty is ready to treat your painful crisis and help you heal quickly. No appointment is required, but a quick call may help the staff prepare for your emergency. Dental emergencies are urgent injuries or infections that require immediate medical attention. Do not hesitate in seeking swift, professional help if you’ve experienced a life-threatening or severely debilitating trauma. 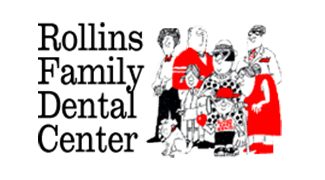 The specialists at Rollins Family Dental Center are always on alert for every kind of dental emergency and can provide immediate restorative care or surgery as needed. Every emergency is as unique as your mouth and face, so the dentists consider the cause or your emergency, your state of health, and the severity of your symptoms when providing treatments. Technology like X-rays aren’t always needed to identify the presence of an emergency, but they often help pinpoint damage and its extent. What Can I Do Immediately After a Tooth Injury? For a knocked-out tooth, recover the tooth if possible and preserve it while on your way to Rollins Family Dental Center or an emergency room. It’s also a good idea to save any chipped off pieces of teeth since sometimes they can be professionally reattached. Seek treatment within 12 hours of chipping or cracking teeth for the best possible outcome. With a loosened tooth, you must receive treatment within six hours for the best chance of saving it, but anytime you can’t stop the bleeding, go to an emergency room immediately. Do I Need an Appointment for Dental Emergencies? If you have any doubt about the severity of your dental injury or oral emergency, don’t risk guessing when you should see a dentist, oral surgeon, or another medical professional. Seek immediate care at Rollins Family Dental Center or the nearest appropriate facility to avoid further damage or complications. For all dental emergencies, the faster you receive treatment, the better, so visit Rollins Family Dental Center anytime during office hours or a facility with an emergency room as soon as possible when needed.